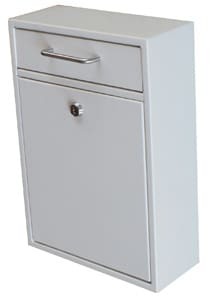 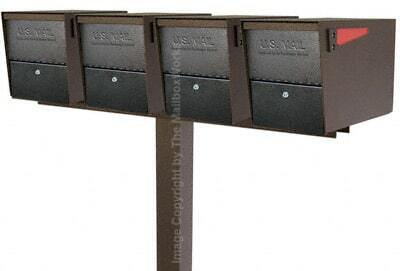 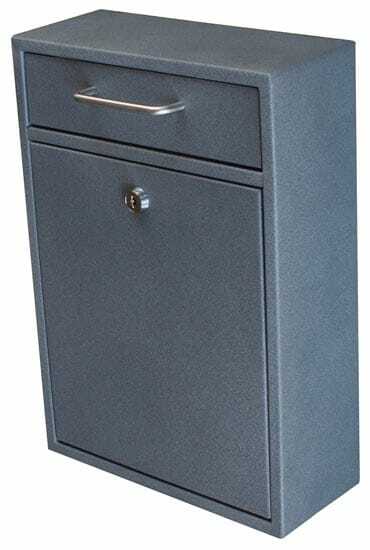 This locking wall mount drop box is designed for ease of use to secure incoming office mail, money, checks, keys, ballots, and more. 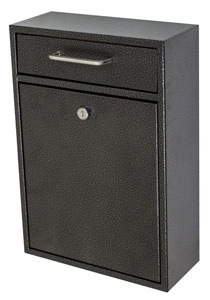 Constructed of durable 16 gauge steel with a commercial grade 12 disc wafer lock and a patented anti-pry latch locking mechanism. 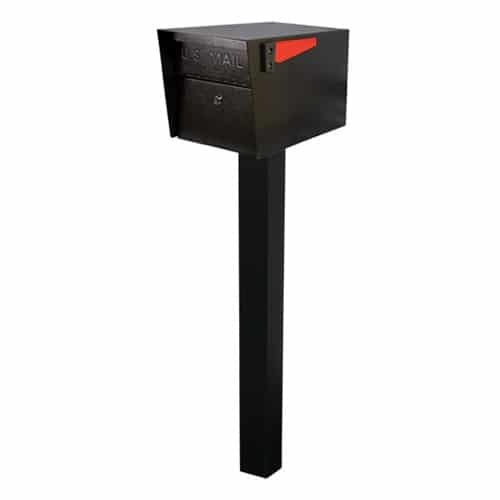 The Epoch Office Drop Box is ideal for schools, private postal centers, corporate mail centers, restaurants, convenient stores, rental facilities, military bases, and manufacturing plants. 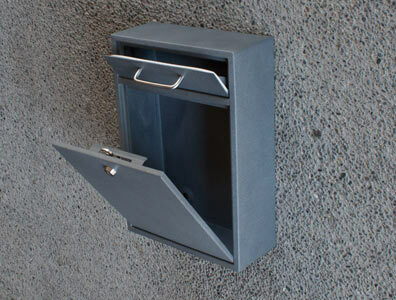 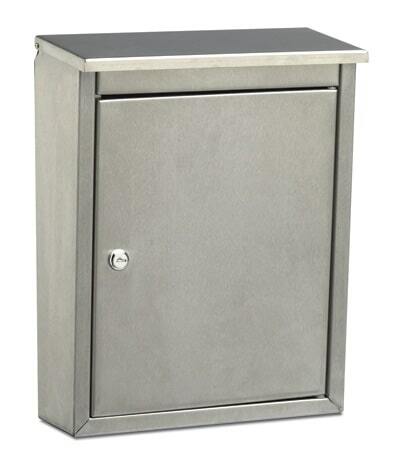 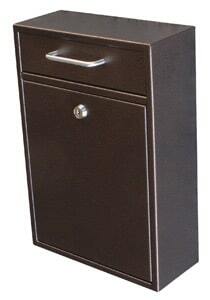 This wall mount drop box features an anti-fish bin design to help keep items safe. The Epoch Drop box has stainless steel hinges and comes in 6 powder coat finish options. 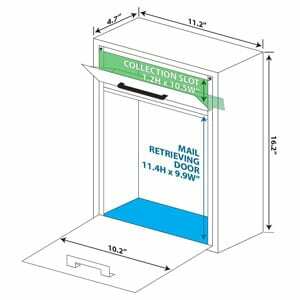 Drop Box 16.2" 11.2" 4.7"
Collection Box Slot 1.2" 10.5"